One year ago, I had a great day. 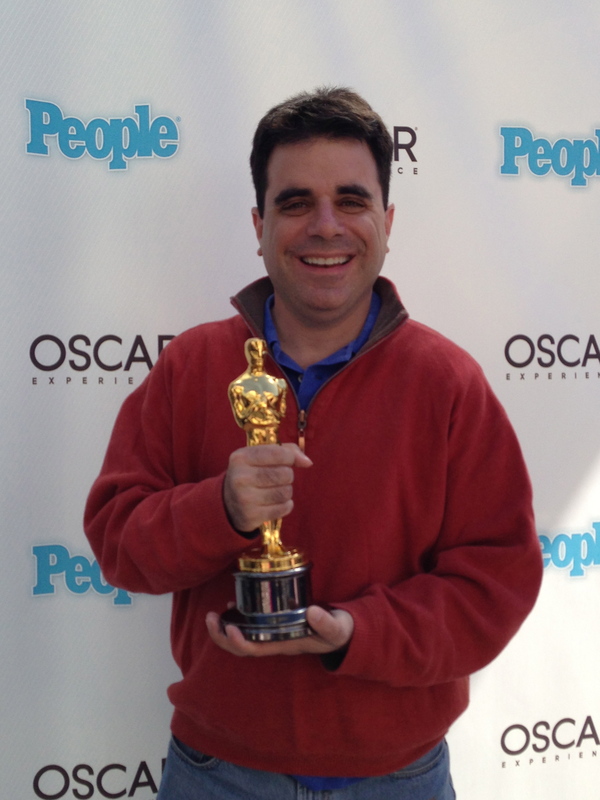 It was the Academy Awards, my SuperBowl day. 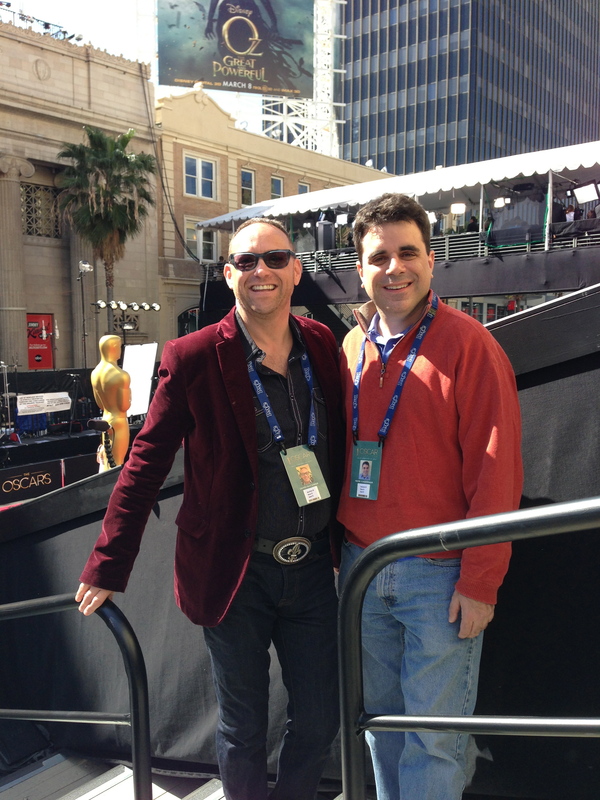 But this year, I won an auction to have seats in the bleachers for the Red Carpet. Granted, I’d rather be in the Dolby Theater itself, but this would do fine. Knowing I was only going to be in my job in Southern California for 1 year, I tried to take advantage of living in a cultural and entertainment mecca. Whenever I could, I went and did “tourist-y” stuff and I covered a lot in 12 months. I did the fairly typical LA event from a concert at the Hollywood Bowl to a TV Show taping to Disneyland to catching the US Open of Surfing just a couple miles from my house. I got lucky in seeing 2 baseball games decided in the bottom of the ninth and 1 hockey game won on penalty shots (all for the home team). 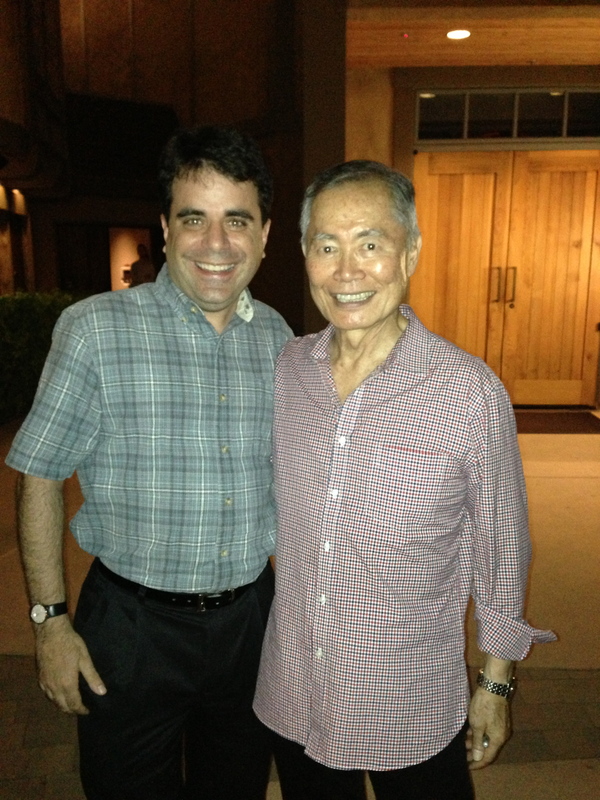 I met a few celebrities at events including George Takei at his musical Allegiance in San Diego. 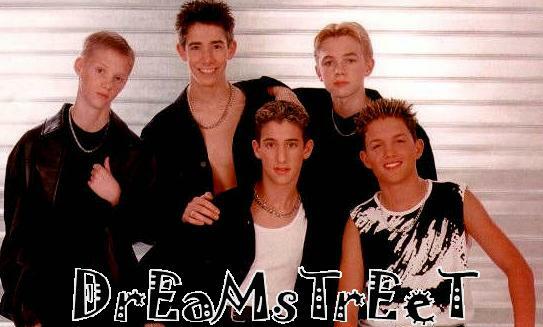 I also was lucky enough to have a special opportunities not always available to the general public. I was given a tour of the live set of Franklin & Bash. 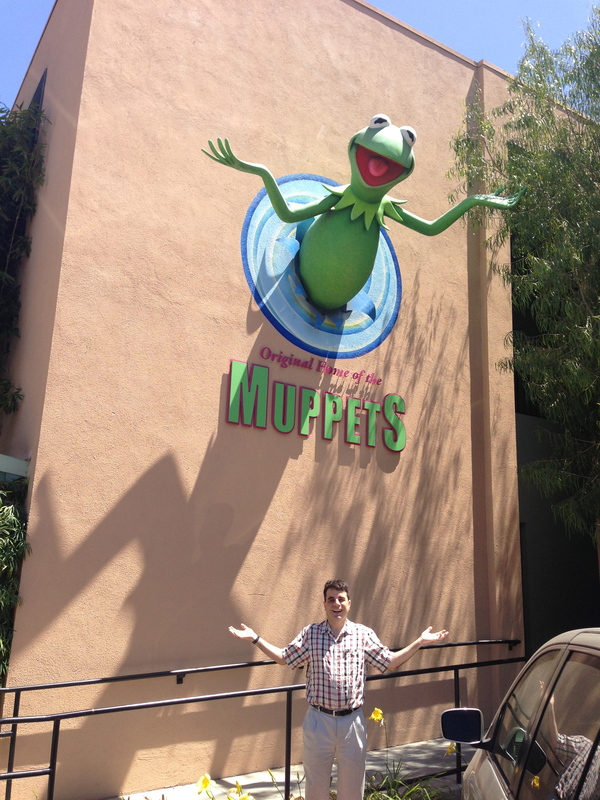 I got a behind-the-scenes tour of the Jim Henson Studios. And I got lucky in realizing the Arrested Development Banana Stand was only few minutes away one morning in LA. Throughout February, there was apparently an Academy Award promotional campaign called the Oscar Roadtrip. Led by celebrities you have to look up to have any idea who they are – Ben Gleib and Angie Greenup – an actual Oscar statue was brought around the country and placed in people’s hands for maximum Twitter and Instagram low level marketing. 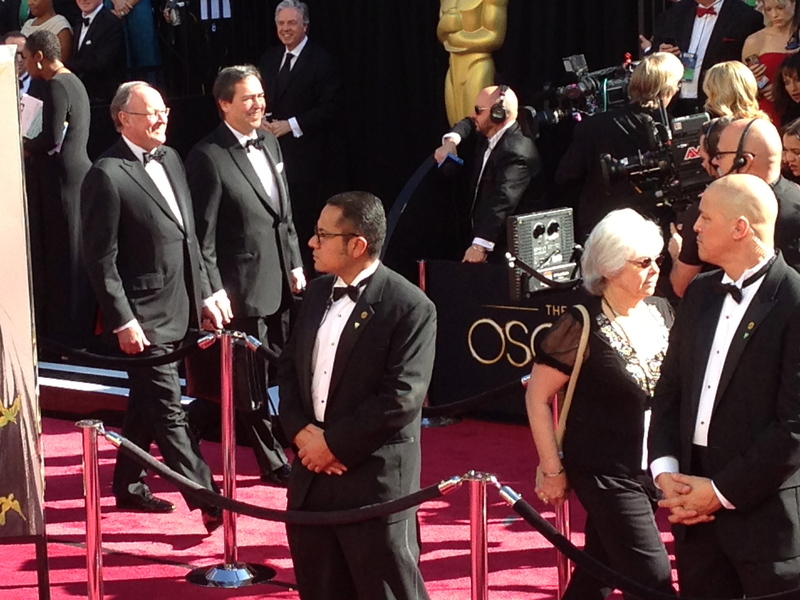 Their last stop…the Red Carpet on Oscar night, of course. 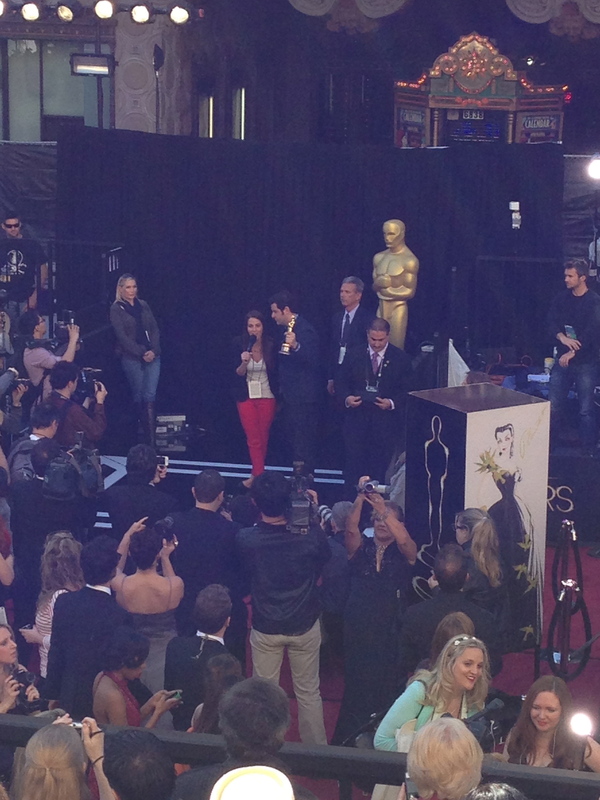 Around 10:30am, Ben and Angie appeared on the stage in front of my bleachers on the red carpet. The said this was the first time an Oscar statue had appeared on the red carpet. 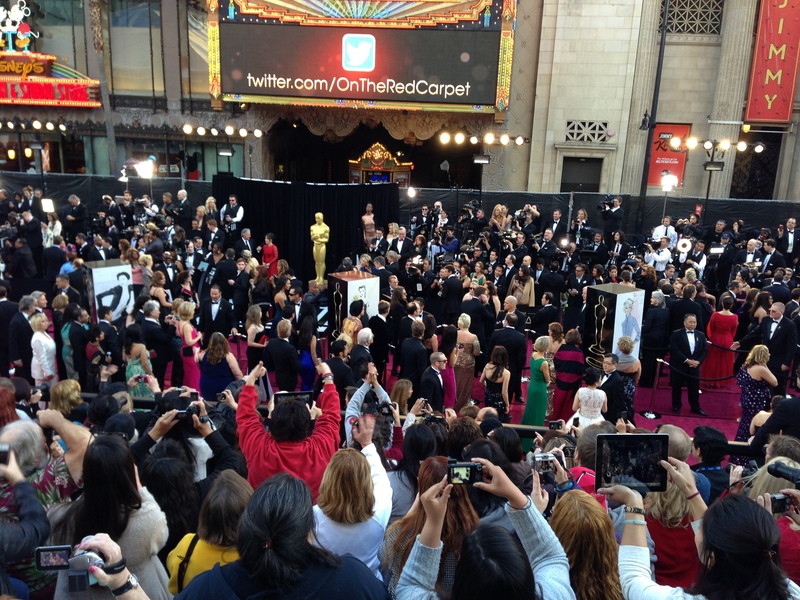 And that they were making further history as they would bring the Oscar into the bleachers. 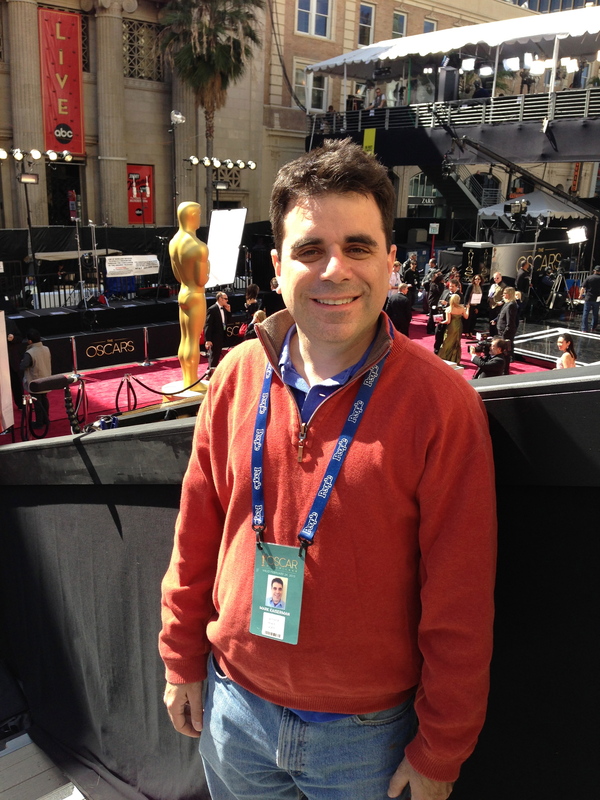 And if an idea is worth doing, it is worth doing big – they were actually going to bring TWO Oscars into the bleachers.